Some unexpected but cool news got announced today, as StarWars.com just revealed a new Star Wars game to come out next year titled, Star Wars: Attack Squadrons, which will be a new free-to-play multiplayer space combat game. You can check out the cool new CG trailer for the game in the video above, and below are the few revealed details about the game from StarWars.com, as well as a link to sign up for the beta. The new title is a free-to-play, open web, space combat game offering an intense multiplayer battle experience where players can customize and tune popular Star Wars ships, including the Rebel Alliance’s X-wing fighter or the Empire’s TIE Interceptor. 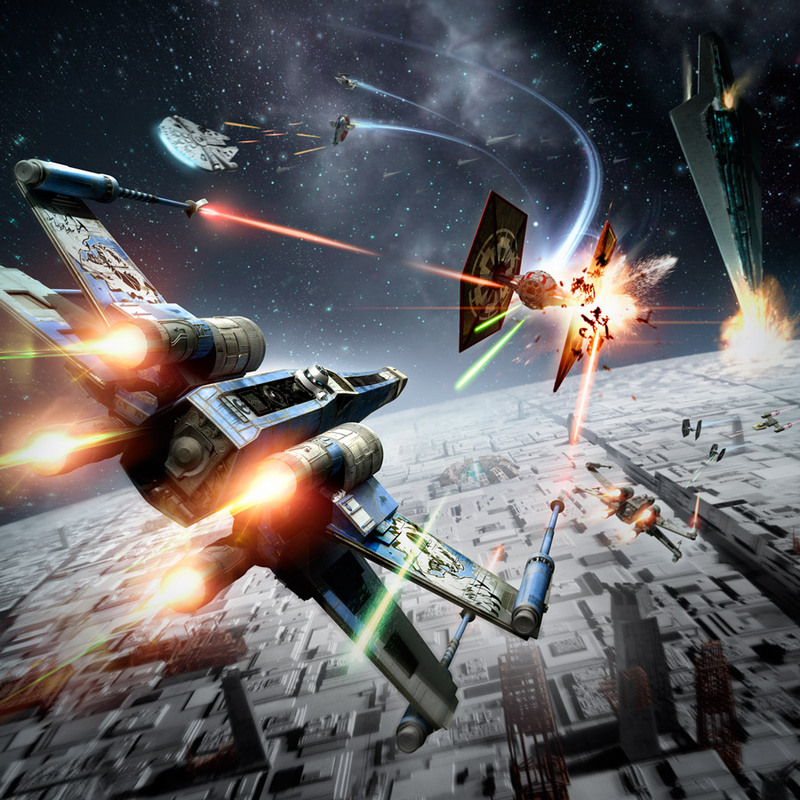 In Star Wars: Attack Squadrons, players will enter exciting dogfighting action with up to 16 players at a time as they maneuver through iconic Star Wars locations. Future ships, environments, and game details will be announced in the coming weeks. Star Wars fans can sign up now for a chance to participate in the closed beta at www.starwars.com/attacksquadrons with the first play session beginning early 2014. Star Wars: Attack Squadrons was developed by Area 52 in conjunction with Disney Interactive and LucasArts. Star Wars: Attack Squadrons is the second announced game since Disney acquired Lucasfilm, and while we are still waiting for more information about the first announced game, Star Wars: Battlefront, Star Wars: Attack Squadrons sounds like it will be a fun way to spend some time as we fly around in our own unique X-Wings and TIE fighters shooting down enemy ships! Stay tuned for more details about Star Wars: Attack Squadrons as they get announced.